Since launching our new Adore Shopping site, we’ve found the second most searched item is art prints. 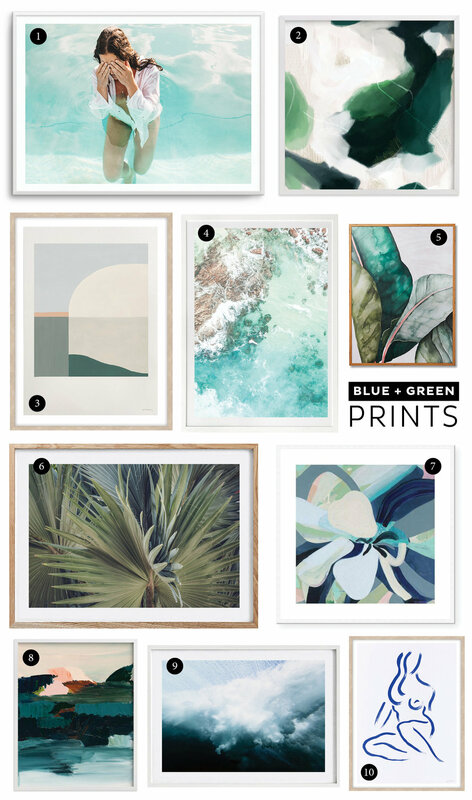 So today we’ve rounded up some gorgeous art prints to brighten your walls. Who said blue and green should never be seen together? Mother nature’s perfect colour duo – greens and blues – are great for creating a calming effect. We could dive straight into this Earth 014 print by Stewart Leishman (pictured above) available from Barnaby Lane. There’s something so alluring about ocean prints. Another photographer who captures the beauty of the sea is Kara Rosenlund. 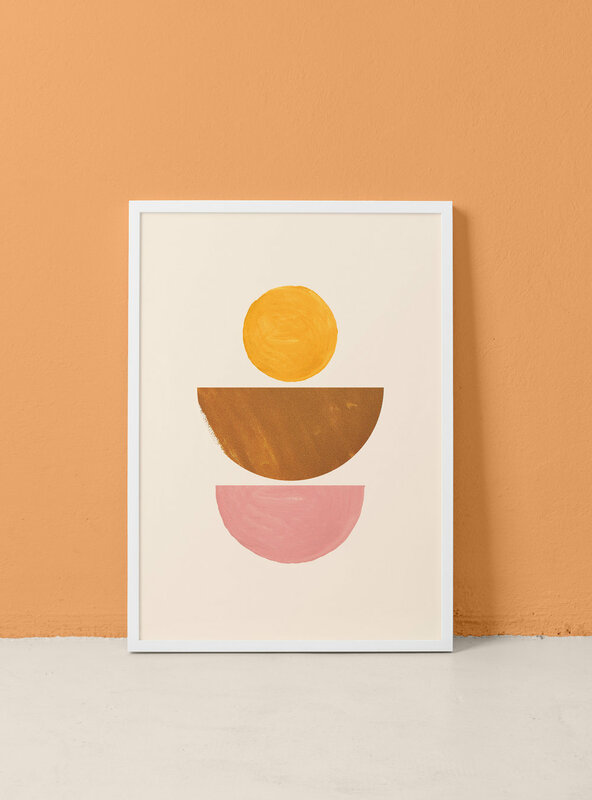 Her prints are so beautiful – owning a couple of her prints in my own home, I can attest to their quality and vibrance of colour. 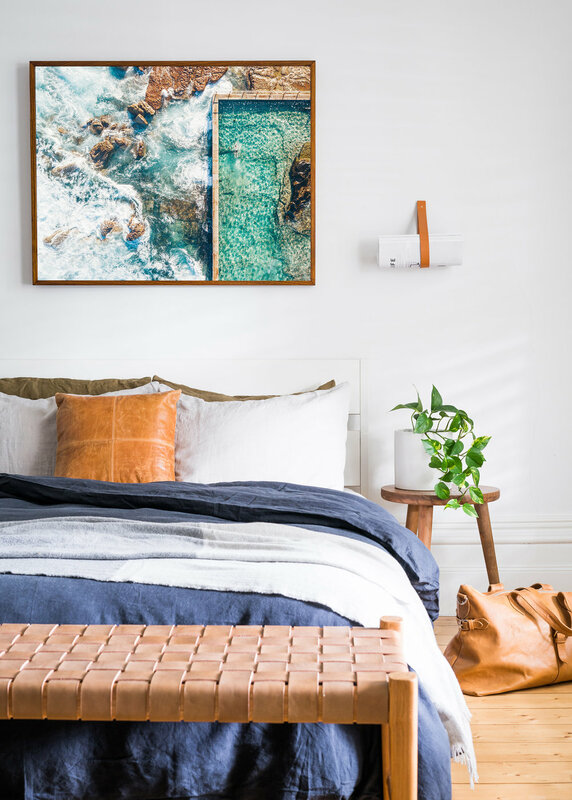 Her Diver print pictured opposite was taken at Sydney’s infamous Bondi Icebergs, I just love how she’s captured that laidback Australian beach lifestyle in one single shot. Urban Road are also a great source for beautiful art prints in a variety of styles. 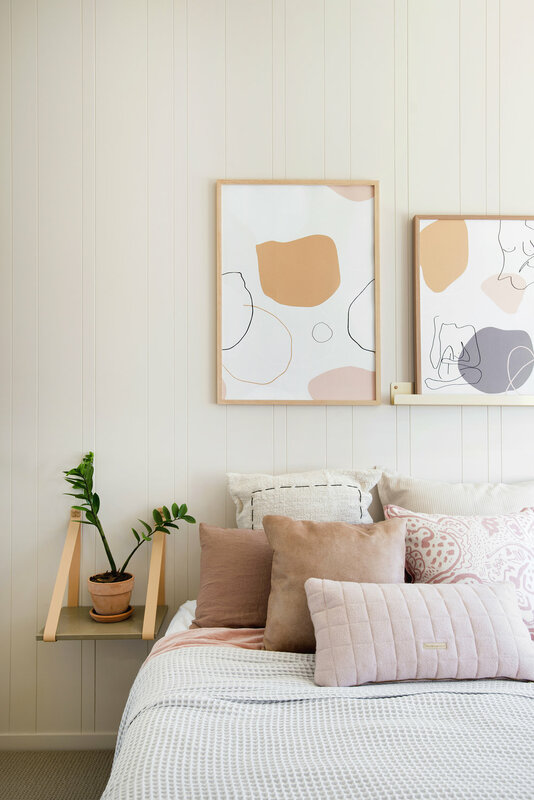 Their latest collaboration with Shaynna Blaze is so dreamy – there’s lots of great aerial photography in this collection – including their Field of Dreams print pictured below. 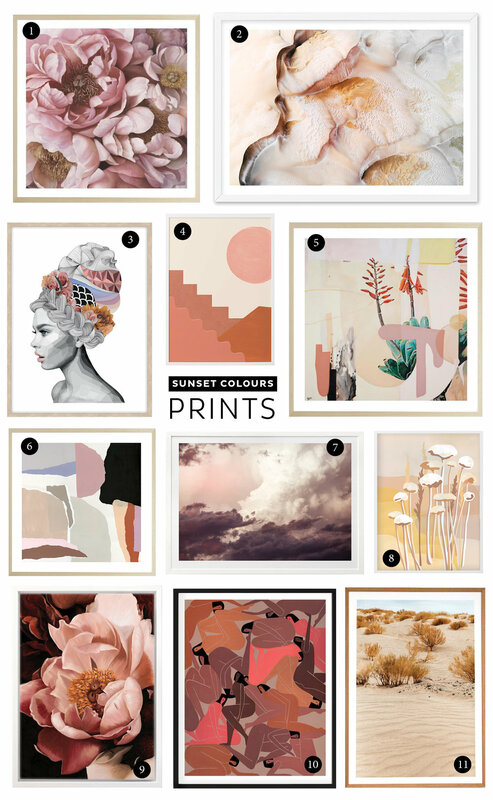 The hottest colour trend going around at the moment are warm colours – think sunset hues in pinks, corals, tangerines, and hints of dusty lilac. If you’re after a great affordably priced option try H&G Designs - their Cast and Sundance prints (pictured above) look great hanging together as a pair. UK artist Clare Nicolson creates bold and graphic digital artworks that have a whimsical nature. Pictured opposite is her Sunrise print. Her range is also very affordably priced – however are only available in A4 and A3 size. These would work great as a small artwork styled on a shelf, or used as part of a larger gallery wall with a mix of artworks. Barnaby Lane has recently become my go-to-source for photographic prints. 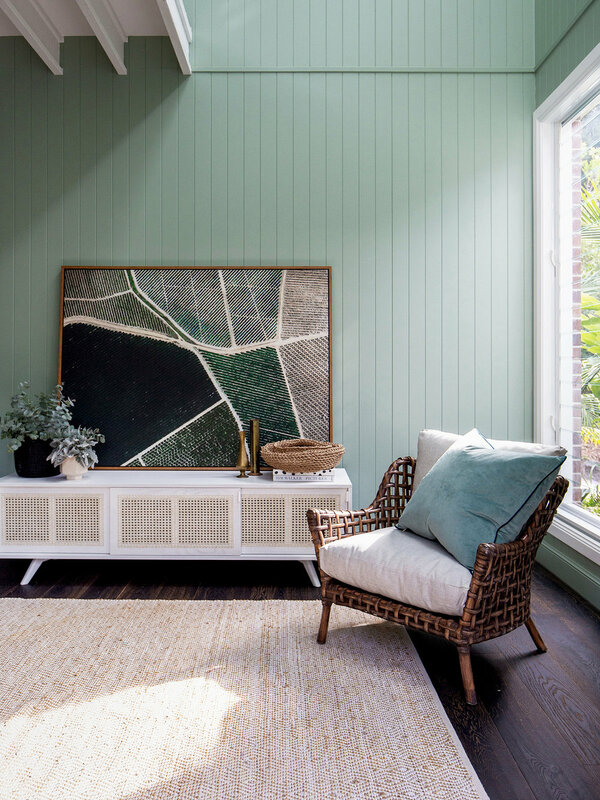 Their carefully curated range includes renowned photographers such as Derek Swalwell, Stewart Leishman, Marija Ivkovic and Anna Thomas. 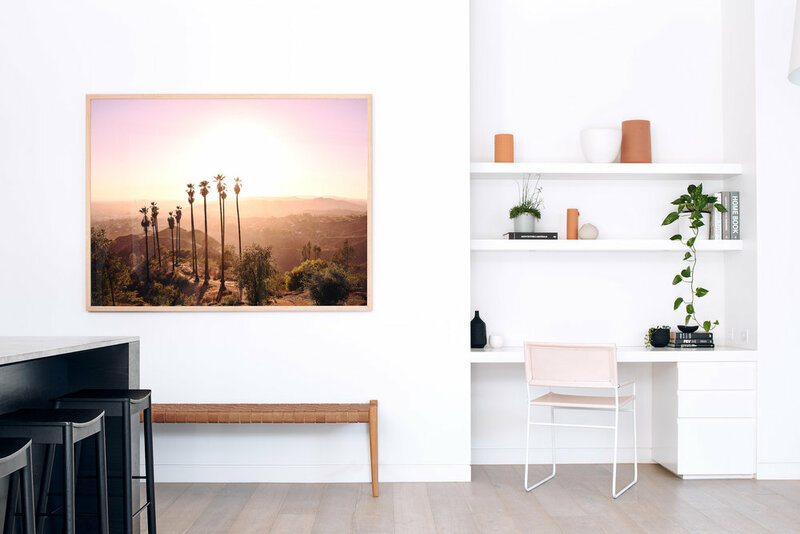 Pictured below is Derek Swalwell’s Griffith Park 2 print available through Barnaby Lane. Loving those sunny LA vibes! 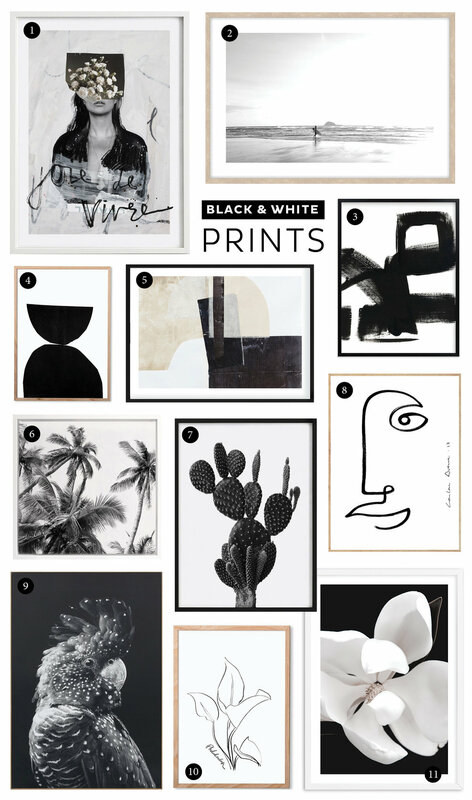 You can’t beat a black and white art print. Simple, classic, and a great option for monochromatic interiors – there’s a certain sophistication when it comes to black and white art works. 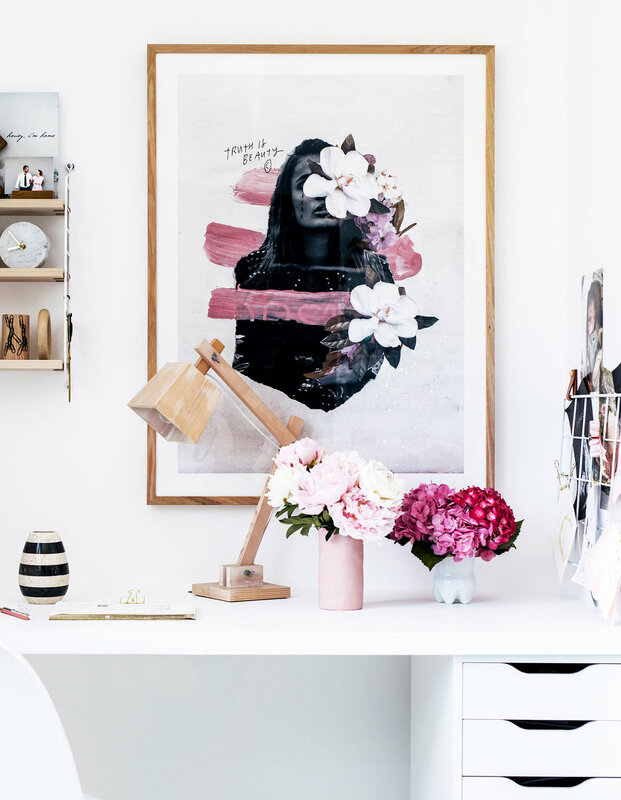 Thankfully there’s no shortage of art prints out there, we live in an age where we are spoilt for choice with affordably priced prints. 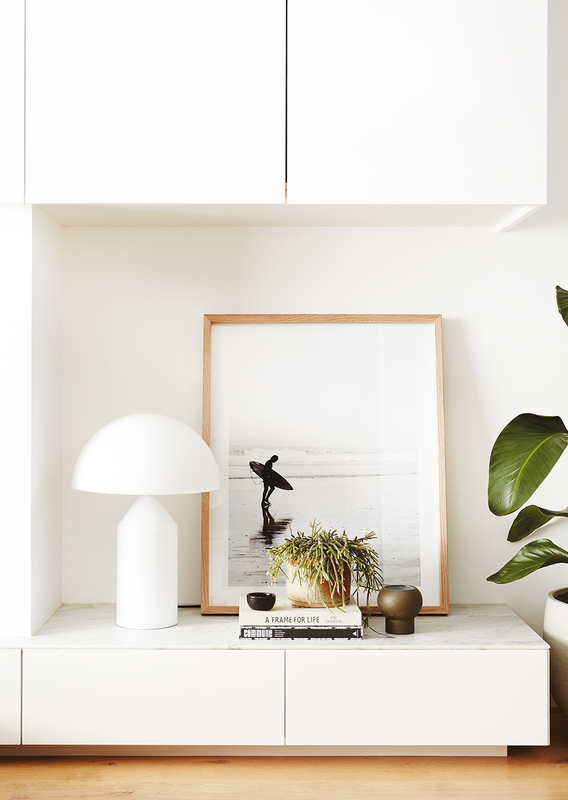 Morning Surf print from The White Bungalow pictured above, is one of my favourite beach photographic prints. I love the styling of this piece too – sometimes an artwork doesn’t have to be hanging on the wall – this one works just as well leaning against the wall and positioned on a low sideboard. Another favourite of mine is Carla Fletcher’s Bliss limited edition print pictured above – how can you resist a cute, cuddly koala! I think this piece would also work well in a nursery – so super sweet.